When it comes to tie-dye (and like most other things in fashion), the wearer gives meaning to the trend. For some, the tie-dyed T-shirt is an artifact of ’60s counterculture. Others see a broader significance: Almost every civilization has its own tie-dye variation, from Shibori in Japan and Indonesia, to batik dyeing in Africa, to mudmee in Thailand. For me, tie dye means nostalgia, and recalls memories of growing up in Indiana and spending my summers tie-dyeing clothing with my best friends at camp. 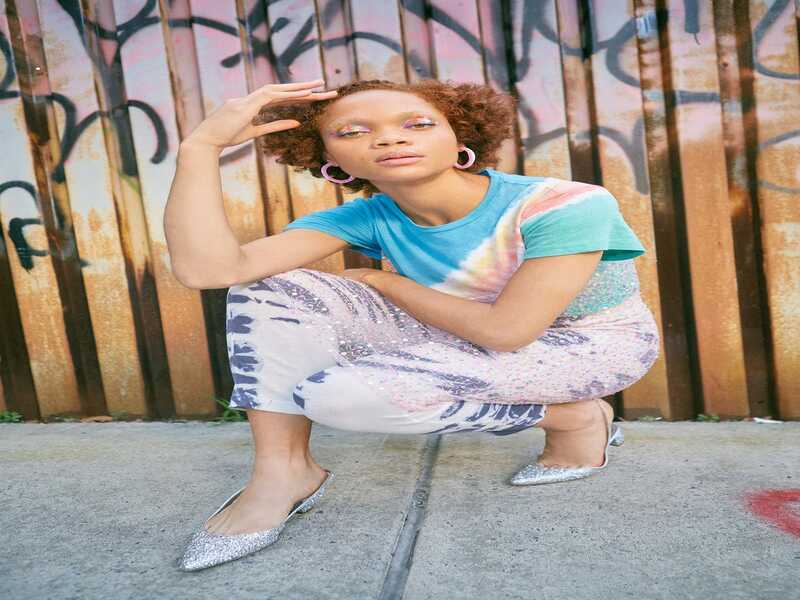 With every tie-dyed look that walked down the runways this past Fashion Month (Stella McCartney, Calvin Klein 205W39NYC, Marine Serre, Proenza Schouler), I felt warm and fuzzy, and wondered how my peers experienced this enduring trend themselves. Everybody’s story of tie-dye is as unique as the pattern itself. It may feel like an obviously summer trend, but tie dye is evolving past rainbow Grateful Dead t-shirts. The colors used are extending to more sophisticated hues and the patterns more intricate. Ahead, five tie dye looks to get the conversation going about one of our favorite fall trends. Luxury tie-dye feels like an oxymoron, but velvet might just be the greatest canvas tie dye has ever seen. The designs created by tie-dye are a 2D texture on their own, and combining that with a soft velvet enhances the dimensions. The tie dye technique on this dress makes you do a double take: Is it tie-dye, or is it animal print? A dress like this speaks for itself, so pair it with some casual socks and Birkenstocks (another trend of the season) to add some chunkiness to an otherwise sleek look. It may seem overwhelming , but don’t hesitate to introduce more colors to your outfit. Start off with colors in the same family as your tie dye. Our greatest lesson from this trend: that sometimes you can surprise yourself with what you’ll wear and how you’ll style it. Sies Marjan Nicole Silk Twisted Rosette Dress, $2,995, available at Sies Marjan; Riverside Tool And Dye Full Bodysuit, $128, available at Riverside Tool and Dye; Mansur Gavriel Glitter Slingback, $575, available at Mansur Gavriel; Lizzie Fortunato Rome Hoops, $95, available at Lizzie Fortunato. Ombre is color blocking without your glasses on. And in this dress, the colors cool each other off. They’re the epitome of a summer sunset. Nice and cool after a very long hot summer day, all we’re missing is a campfire for marshmallow roasting. Layer a tie dye unitard underneath to mix-and-match tie dye prints, and throw on some sparky slingbacks, because the sun’s only just set, and the night is young. Upstate Palm Dress, $398, available at Upstate; Mozh Mozh pants; Jiwinaia Large Flame Earrings, $109.15, available at Jiwinaia; UNIF Desire Top, $53, available at UNIF. Now that mixing and matching different variations of tie dye is a part of your styling arsenal, don’t go overboard! We toned it down for this look by letting tie dye serve as just another print. By combining knits, silk, and sheer fabrics, tie dye takes a back seat and lets the fabric textures do the talking. The result is possibly the ultimate fall outfit. It’s comfortable (you can karate kick in it) and includes clothing pieces from summer and winter. But when the temps really start to drop, cue The Mamas & The Papas and dream about Cali. Have we convinced you yet to upcycle your pit- and sauce-stained clothing yet? If not, this look will. Rethink t-shirts, lounge pants, and tie dye as casual wear. Tie dye can be more than just one design. We like to refer to it as dyeception, a phenomenon that occurs when the tie dye print creates a print within a print. See: this t-shirt where a stripe is dyed into the fabric through tie dyeing. It’s just another way to ease into the trend if you’re not quite ready to jump in head first. And for those who aren’t ready to permanently tie dye something, tie dye your eyelids. No rubber bands needed. All you need to do is blot some of your favorite colors on your lids, blink a few times, and voila! These pants are what we imagine to be a happy accident while dyeing or painting, a byproduct of living on the edge and wearing white while doing something crafty. 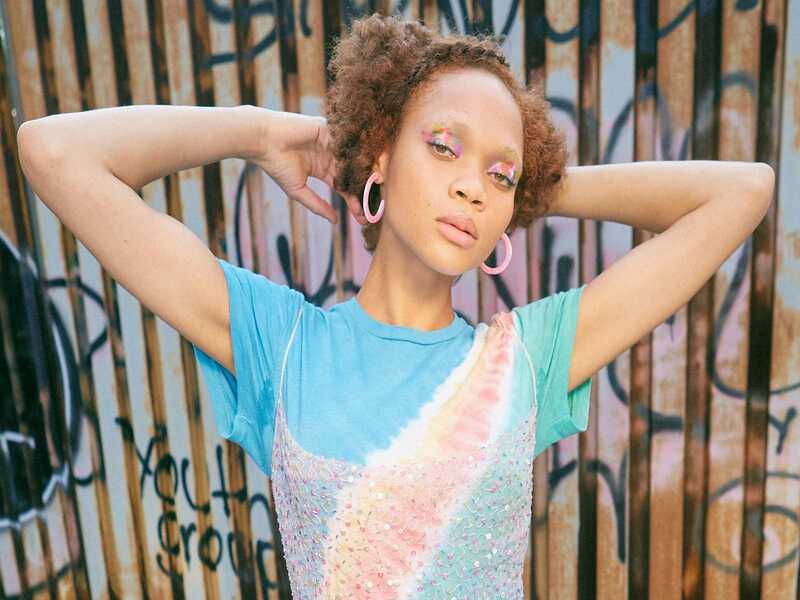 Meanwhile, the holographic look hit the runways in a big way the past few seasons, and offered the same type of mesmerizing IRL eye candy as tie dye. Both create textures and effects that make it hard to look away. When this holographic trench hits the light on a sunny day, it creates so many colors and textures that you’re unsure where to focus your gaze. 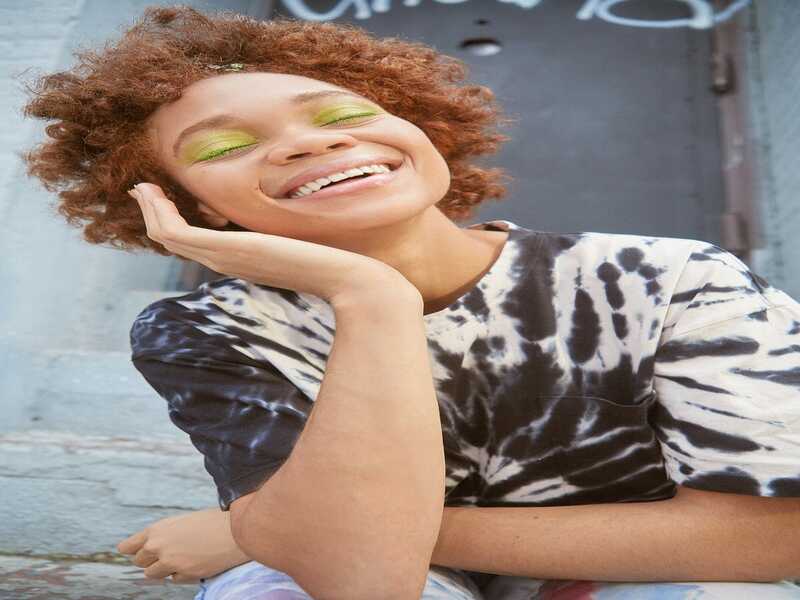 As for the t-shirt: Taking tie dye back to its roots can be an easy way to dress simply while still injecting some much-needed color.